Last Update 9th May, 2017. When you decide to learn how to start your own blog and make money, believe it or not, you’ve just changed the trajectory of your life. Making the decision to start a blog was one of the best things I’ve ever done. To say it changed my life is not an overstatement. 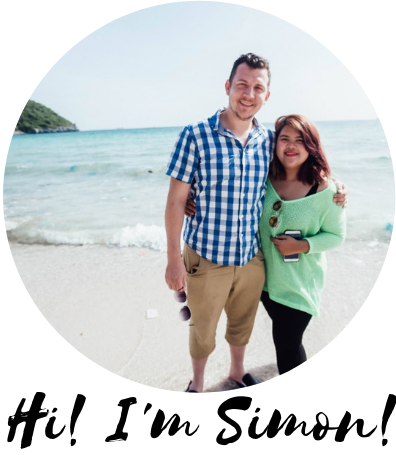 Since 2014 I’ve helped hundreds of people get started with successful and profitable blogs. If you really want to becoming a professional blogger, follow these 5 steps and you’ll be getting started in the right direction and avoid the many mistakes newbies make. Your first decision is what topic to start your blog about. Go too narrow with your niche and you’ll struggle to come up with content long-term, go too broad and you’ll come up against too much competition. Just posting won’t make your blog successful. The easiest way to set yourself up for remarkable content… is to start a blog about something you are passionate about. Make a list of interests and hobbies, trigger topics you know can get you talking a lot about and pick just ONE topic. Remember you’ve got a lifetime to start as many different blogs as you like, but for now let’s just get the first one done! Further Reading: Blogging 101: What To Start A Blog About? Your next step is now to purchase your very own domain name and blog host. The domain name is blog’s digital address and your web hosts stores all your site files so they’re available whenever someone types in your domain name. I recommend BlueHost as the best option for all new bloggers. Bluehost is what I use for all my blogs because they’re not only recommended by WordPress but they have 24/7 expert support and the highest uptime stats in the industry. BlueHost is now offering The Make Money Online Blog readers free domain registration for a full year and a special price of only $3.49 a month. That’s a great price. Please note that this post contains affiliate links. If you sign up to BlueHost I will receive a small commission at no extra cost to you. Further Reading: What is the Best Place to Buy a Domain Name From? It’s the most popular blogging platform in the world. It’s easy to post articles, upload images and videos, choose from hundreds of free and premium themes to give your blog readers that all important beautiful and profession first impression. Bluehost make installing WordPress as easy as a simple click of a mouse. Once you’ve started your blog, it’s time to master the basics of content creation, search engine optimisation, using social media to drive traffic to your blog, building your audience and start earning revenue. This means taking time to invest into yourself as an online business owner, taking some training and learning some new skills. I owe my success to the training modules at Wealthy Affiliate. Specifically designed for newbie bloggers, the Online Entrepreneur Certification Course will show you everything you need to know about growing and building a money making blog. Sign up for free and start your free training here. You’ll be ahead of the game if you start building your mailing list at the same time you start your blog. A growing tribe of readers can be your biggest promoters. Use the AWeber email service to let people know about your latest posts and recommendations. An email list is the best way to build trust with your readers and get them to take action on your advice. I highly recommend AWeber (I use it myself) as the best email marketing service provider to start building your list right from the get go. Further Reading: What is the Best Email Marketing Software? Subscribe by email below and I’ll send you a free 7 day Online Business Builder Course and show you EXACTLY how to build a successful and profitable blog.